The Cincinnati Zoo called it quits on Twitter late Monday after Harambe sympathizers refused a trolling cease-fire. The zoo offered no explanation for deleting its popular social media account — and with it, all of the cute photos of baby flamingos and giraffes. 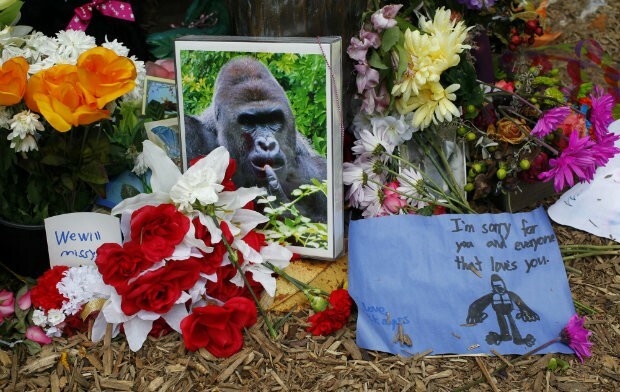 The decision follows weeks of relentless harassment over the fatal shooting of the 440-pound gorilla that grabbed a 3-year-old boy who snuck into its enclosure. The zoo’s disappearing Twitter trick did not escape the watchful eyes of followers and inspired only more scathing remarks. “@CincinnatiZoo deleted their Twitter just like they deleted Harambe,” wrote Twitter user @Joshhpointto. Harambe’s death in late May ignited a whirlwind of memes nominating the gorilla for president, pleading for his resurrection and taking aim at zookeepers for firing the fatal shots. Thane Maynard, the zoo’s director, addressed the blowback in a statement Monday saying “we are not amused by the memes, petitions and signs about Harambe. The pro-Harambe campaign culminated in an embarrassing hack for Maynard; his Twitter account turned into a fanciful tribute to the fallen gorilla over the weekend.